The long wait is finally over for D1 and D9 competitors. After battling Mother Nature for the last several weeks it was finally time to do battle at Piedmont for the remaining spots in the Summit Super Series World Championships. On the Division 9 side of the race, Tyler Duff from Coastal Plains emerged with a victory in the Junior class when Seth Brooks representing Cherokee went red. The Division 1 Junior final saw Kaylee Creech from Roxboro run dead on the 7.93 dial to take the win over Miranda Mitchell of Motor Mile. The Division 9 No Box championship went to Tommy Duff of Coastal Plains. Duff used a .005 start and a dead on run to defeat Tony West from Cherokee. The Division 1 No Box final round pitted Kevin Pollard of Natural Bridge and Bobby Mattera from Maryland against each other. Pollard got the win early as Mattera was -.016 red against Pollard’s .028 start. The box class in Division 9 matched up Fayetville’s Jeff Parrish and Coastal Plain’s Neil Smith. Parrish nailed the tree with a .002 to Smith’s .011. Parrish got the win with a 5.662 on a 5.65 dial to Smith’s 6.976 on a 6.97 dial for a .004 margin of victory. Ronnie Rufff from Natural Bridge took home the Division 1 championship over Summerduck’s Ben Calhoon. Ruff was ready with a .010 light and a 5.607 on a 5.59 dial but it was over early as Calhoun was -.002 red wasting a dead on with a 0 4.76 run. 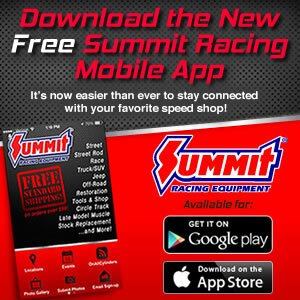 The Summit Super Series World Championships will be decided this coming Saturday at Memphis International Raceway.